Having been a huge fan on the highly underrated Homefront game, I was very excited when another Homefront game was announced. I’ve loved the underdog America games since I played Freedom Fighters back in the day. (If only they would make the sequel to that game already.) I am very excited to have to grace my PC when it comes out in the much too distant future. I didn’t actually go out of my way to find Homefront: The Revolution at PAX this year, but I was curious if there was anyone that was on the team that created the first Homefront game. That’s where I was introduced to CJ Kershner. I got to ask him a few questions and while not pertaining wholly to the second game in the Homefront franchise, they were on my mind and I had to know. I had the privilege to chat him up with a PR person nearby so I was sure to not get any info I wasn’t supposed to. I hope you enjoy the read, leave your comments below! Jonathan Amarelo, Head of The Videogame Backlog: So if you could introduce yourself. CJ Kershner, Senior Narrative Designer at Deep Silver/Dambuster Studios: My name is CJ Kershner. I’m the Senior Narrative Designer at Deep Silver/Dambuster Studios, but [to answer] your question originally, I was one of the writers on the first Homefront. Man did I really enjoy the original. I believe you were missing out if you didn’t. And did you like the first Homefront yourself? I am incredibly proud of the game that we made and I think that it speaks to the quality of the people that were at Kaos Studios that even today, we have a Facebook group that we all keep in touch. They’ve all gone on to different studios and done incredible things. Some of them are at Treyarch and Infinity Ward and Naughty Dog and I think the talent base that we had at that studio and centralized in New York City was just remarkable. Every videogame encounters challenges and Homefront is no exception, but again, the game that we made, in the end, I could not be more proud of it. I feel it got ratted on just for the single-player which I didn’t think was too bad, but when most first person shooters are all about the multiplayer, I feel it kind of got the shaft because the multiplayer was amazing. The level design and [such]. I think that people got really really hooked by the premise of the single-player and I think they were disappointing in the length and also perhaps in the gameplay style. It’s one of the reasons why I’ve come back to the series and joined Dambuster is that they’ve reinterpreted all of the fiction and by making the game open-world they really managed to leverage that feeling of being a guerrilla fighter. It’s a difference in design philosophies where when you’re playing a linear, sort of, scripted shooter, the only direction that you can progress is forward and so your gameplay is going to be about encountering a group of enemies, mowing them down and then moving on. As a result, you end up feeling like a one-man army. So have you played a lot of games like this in the past, open-world shooters? I do play a fair number of open-world shooters. I’ve worked on a few others. I like open-world games in general. Have you played Freedom Fighters? Yeh, it was a Russian invasion of the United States. You played a plumber and his brother. [They] did a lot of really interesting things with the way that taking certain objectives would affect other neighborhoods. I liked when you would take over a stronghold and all of a sudden the music would come in and build this victory moment. Is there anything like that in Homefront: The Revolution? I can, if you play the demo you’ll see you’re contributing to it. It’s called Uprising Points. Basically, as you progress through the game, as you accomplish objectives, as you sabotage the enemy infrastructure you’ll see the world actually start to change around you. So over the official KPA curfew signs you’ll see pro-resistance posters going up. People will be spray-painting and they’ll get spotted and drop their can and run. It’s increasing the level of civil disobedience because part of being a resistance, part of any sort of military campaign, as the US so aptly put it, “Hearts and minds” right? So you need to inspire the civilian populace to rise up and join with you and their reactions will change throughout the game. So by doing all of these littler actions you’re contributing to a sort of larger meta-objective: really getting people behind the resistance. [This is] as opposed to being afraid of being seen with you because they know what the response is going to be. 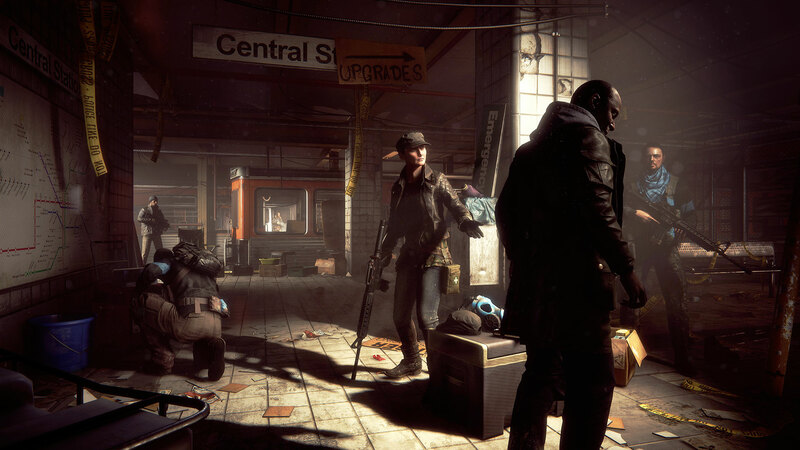 The multiplayer for Homefront[: The Revolution] is going to be a very different experience. We have a four-player co-op campaign [with] various scenarios. You and your friends will join up, form a resistance cell. You’ll customize your fighters. You’ll start out with a limited amount of gear. You’ll go out… you’ll perform these sort of guerilla actions, these smash and grab runs [or something] like “we’ve got an ambush coming up” or “we’re gonna go take some key installation” and then hopefully you’ll all make it out alive. So it’s not your traditional first person shooter multiplayer. You know, team-based clashes where you just go and kill each other and then move onto maybe some Capture the Flag. It’s four player cooperative so it’s PVE. I like that. I like that a lot actually. 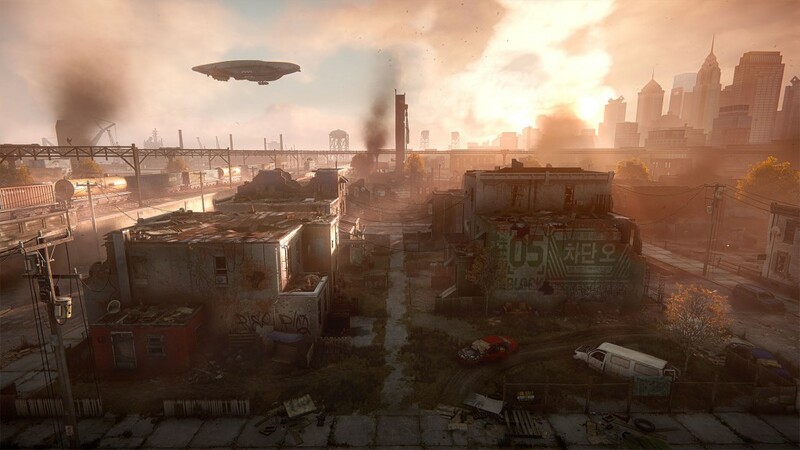 So what are you most excited about for people to play and experience in Homefront 2? Well alright, you just made a very interesting point. We do not consider this game Homefront 2 at all. No no, that’s quite alright. It’s actually a great point of distinction, because I think there is an expectation that the game would be a direct sequel and that it would follow the same story-line, bring back some of the old characters and pick up where we left off. That’s really actually not what happened. 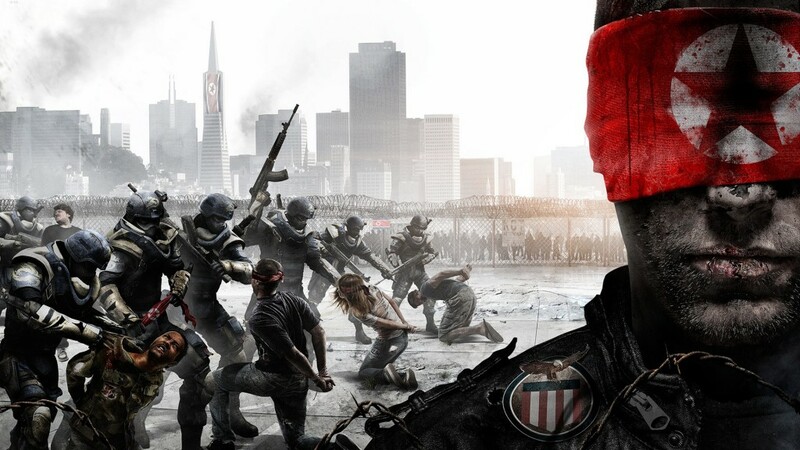 By switching to a new developer, that would be Dambuster, and a new publisher, that would be Deep Silver, we have an opportunity to sort of reimagine the game starting from the core premise of “fallen America”, “occupied United States”, “resistance” and really build an entirely new back-story that spans back into the 20th century and then that leads us to the near future of the early 21st. So new story, new characters, new fiction, very very different gameplay style from the original. 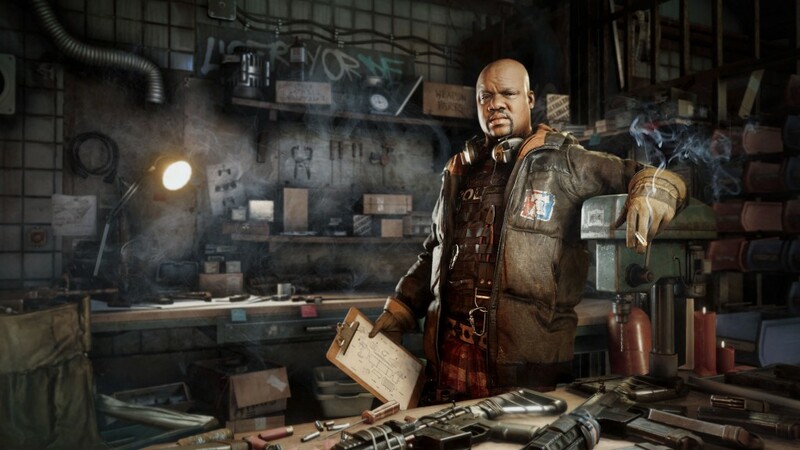 So it’s not Homefront 2; it’s a new and different chapter in the Homefront world. But what I most excited about? Actually, I think the thing that I’m most excited about is getting it into player’s hands. We’ll be out in the spring of 2016 for PC, Mac, Linux, XBox One and PS4. With any heavily systemic open-world game there’s always going to be things that players find that… we have fairly good control over the systems, but again, they interact in interesting ways and every bodies experience is going to be unique. I think with a lot of the social media and sharing community, things like YouTube or Twitch, I’m really curious to see how players start to try to manipulate those systems or exploit them in ways. I’m actually kind of excited to see the first Homefront: The Revolution speedrun. One of the things that I discovered shortly before going to Gamescom in Germany, we have distraction devices, it’s a hand full of firecrackers and we have these seeker drones, which are the drones that float about and they scan you. If you throw the distraction device and get it caught in the mechanics of the drone and it goes off, it confuses the drone and the scanning laser goes straight up and it stats spinning around in a circle and it looks like a disco ball… it’s one of those things that’s kind of ridiculous, but I want people to experiment and play the game and figure out what’s fun for them. Well thank you very much for your time. I can’t lie, talking to CJ and going back and forth about things not in the Q&A here was about as close to fanboy that I’ve really been in a long time. I loved the original Homefront game and if you’ve ever had a game that you loved and felt like they would never bring back for a sequel and then suddenly did, you’ll know how I felt. 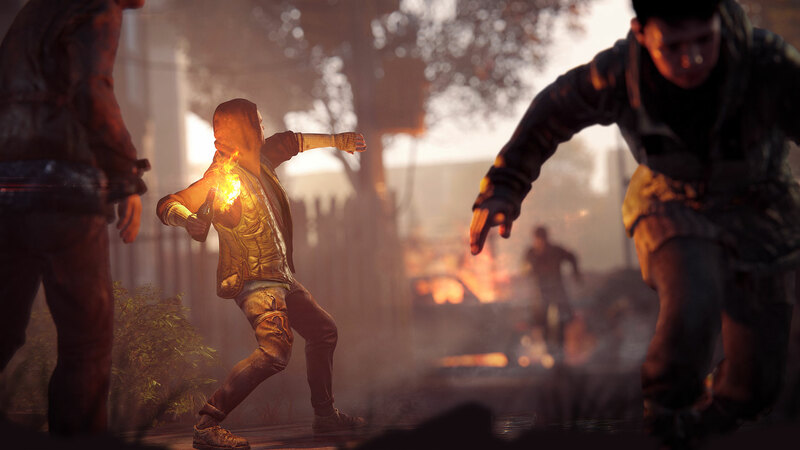 Homefront: The Revolution looks amazing and Spring 2016 can’t get here soon enough. This is one of those few day one purchases for me even if it’s $60. A Virus Named TOM Review & Giveaway!